Life has been so good lately. Just as I hoped at the end of last year, the whirlwind of amazing has slowed to some long, steady days of good. 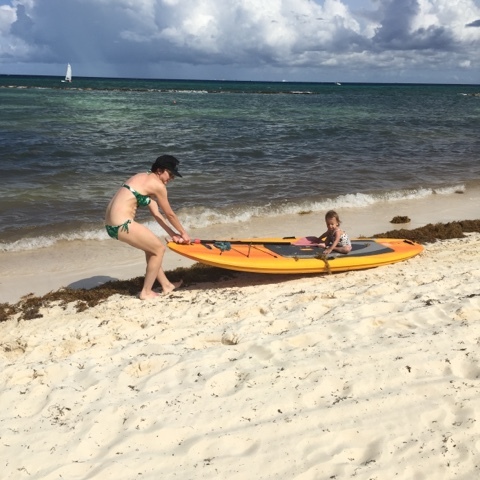 Life is still crazy on the daily in its own ways, but I haven't felt overwhelmed like I was before, especially since we got back from our first week long family vacation at the Grand Velas Riviera Maya. Our zone strategy, ships passing parental coverage from Markus and I's life juggling all came to a halt and for the first time I could recall, our family of three just sat around and enjoyed each other for five straight days. It was heaven on earth. 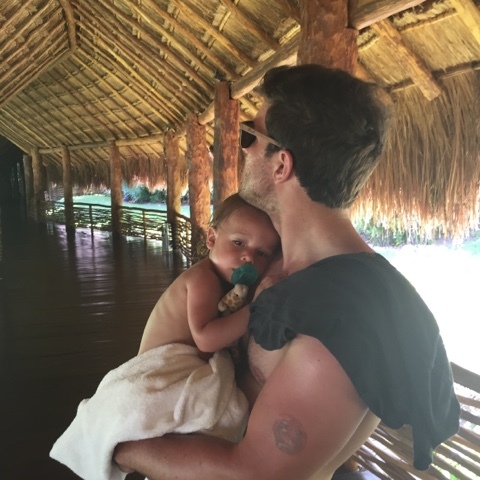 I had seen the Grand Velas a few years ago and loved the idea of a more sophisticated all inclusive for families. As I looked for something that was a mix of relaxing, hospitable, quiet and family friendly, it continued to come up in my searches with rave reviews. Our room was on the Zen property of the hotel, which I loved. It was such a special solace from the bright beach. The hotel is on federal wildlife reserve so you can see mangroves, jungle and private beach as part of the hotel thanks to special efforts from Grand Velas to meet LEED certificatons. Heidi naps at least once a day, so I always look for a hotel with a good patio or balcony when we're traveling so I can read outside and not feel cooped up. One of the reasons I was attracted to all inclusive is Heidi and I like to eat - a lot! With a toddler in tow and her mom with an appetite, it was really nice to order snacks by the pool as we needed them without the little jab of wondering what the tab would look like at checkout. 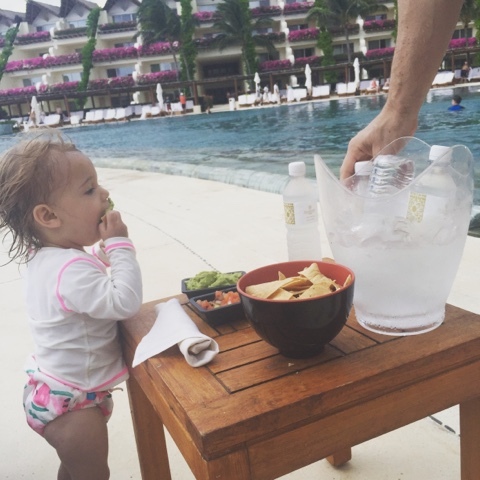 All day swimming meant all day poolside guacamole! This isn't your wristband hotel all-inclusive food, though. 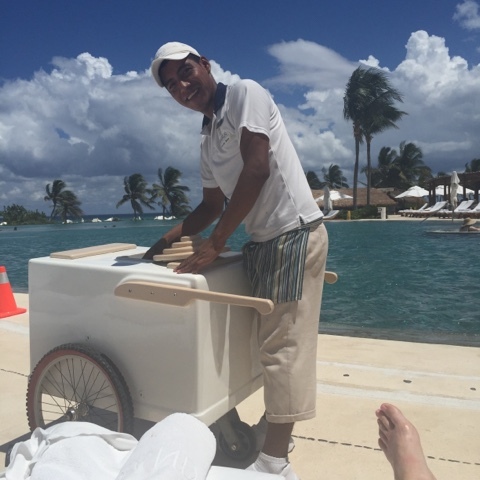 Grand Velas is dubbed a "foodie all-inclusive" and I'd like to think I put it to the test. 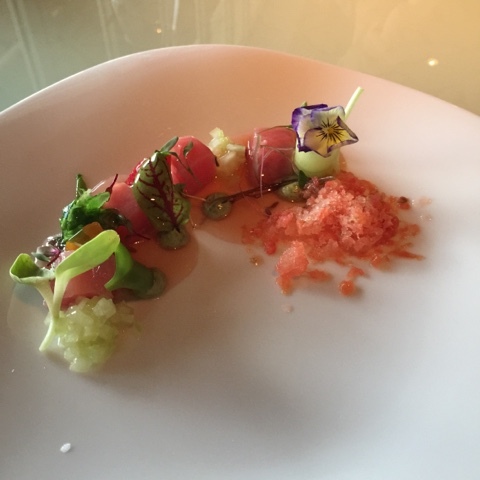 My favorite restaurant was nine course tasting dinner at Cucina de Autor. It was one of the best meals I've ever had! I've heard when the hotel is in busy season, you need reservations early. We secured a few and some babysitting through the concierge before our arrival, and also some through our room's concierge while we were there. It was always a flawless process and they even kept track of our dietary preferences/allergies across all restaurants. I loved the walk through the thatch roof walkways of the Zen hotel. We would take the shuttle (new, air conditioned, Nissan passenger vans) over to the Ambassador hotel for breakfast, pool and beach time every day. We never had to wait for a shuttle. 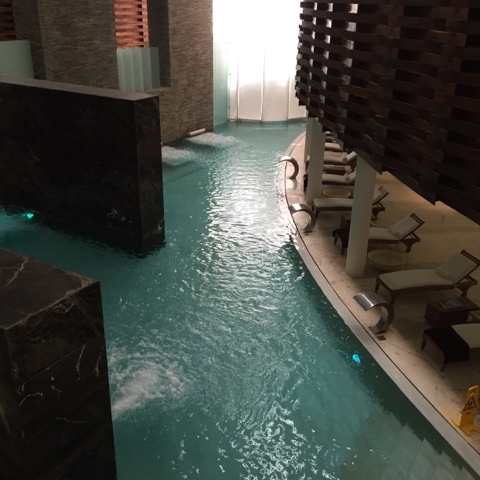 The Zen hotel also hosts the amazing spa! I went for one morning after some yoga on the beach. I actually just did the pass through the water rooms (steam, sauna, etc) and it was a really unique, full service experience. A spa attendant would prep and time me for my stay in each room and bring me chilled cucumbers for my eyes, clay for my skin and drinks to sip on depending on which room I was in. A lot of my friends have asked about babysitting for Heidi while we were at the resort. We used the hotel babysitter for two nights so we could go to the adults-only restaurants (about half of the restaurants are for 15 and up only). I really liked that the babysitter is employed by the hotel, not through a third party service, and background checked, CPR and first aid certified. 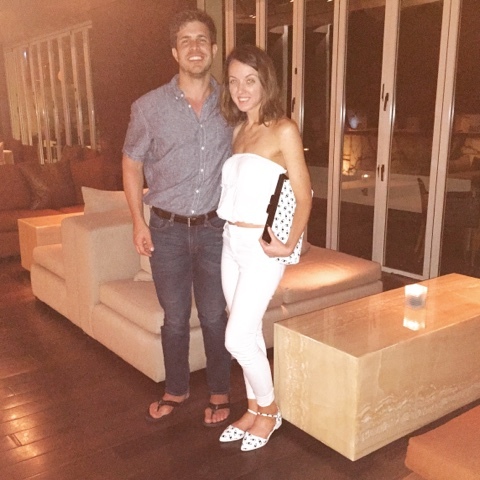 It was also really nice that we were always on the resort, so even if we went cell phone free she could call the restaurant if there was any issue. Heidi was always so worn out from a day outside that she went down almost as soon as we left anyways. 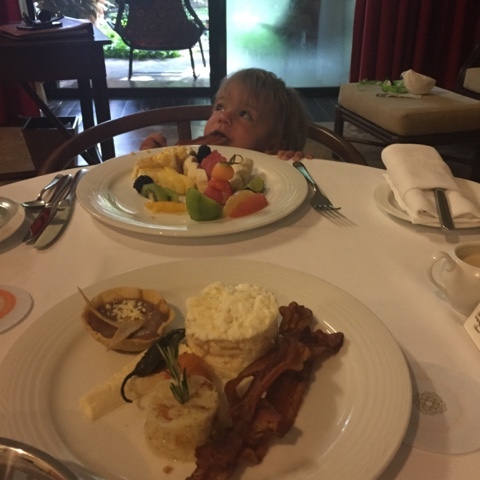 It was really helpful that 24 hour room service was included in the rate so we could order Heidi breakfast, snacks or dinner while we were in the room! She always liked having her own dinner while we got ready to go out for a while. 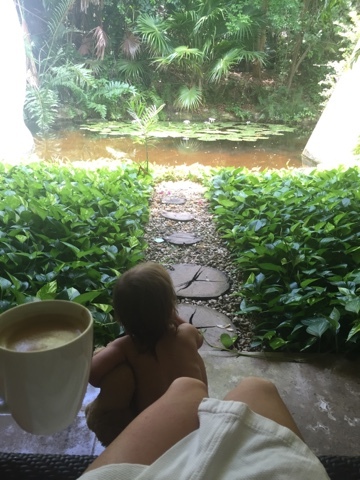 I could get use to Heidi's vacation life at the Grand Velas. My days of thinking it was a real treat if our Holiday Inn had the Disney Channel are flashing back now. 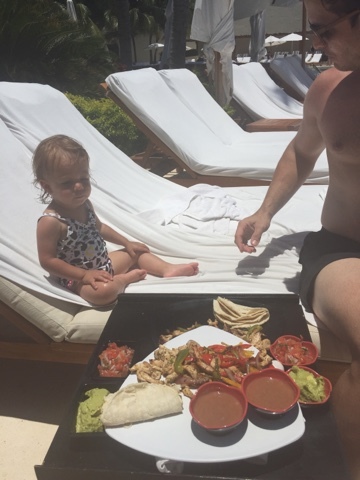 The poolside fajitas were our gluten-free favorite with the fluffiest corn tortillas I've ever had. Heidi and I also had a summer fling with the popsicle cart man! Homemade flavors like lychee, mango and strawberry were so refreshing by the pool every day! The beautiful, white sand beach was just a short flight of stairs down from the main pool, so we had a good rotation going starting at one and switching off after lunch. Heidi loved playing in the sand and splashing in the waves that came up to the store. It was a great first introduction to the beach and water! Resident nerd that I am, we took a short eco-tour of the property. 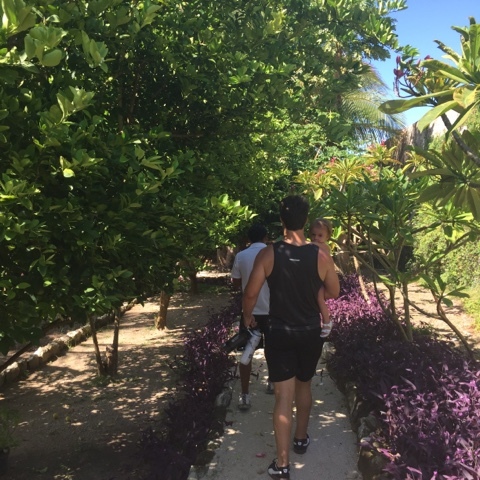 I loved seeing the quieter side of the property, with natural cenotes, mangroves, iguanas and the hotel's extremely impressive gardens that they use in their restaurants. 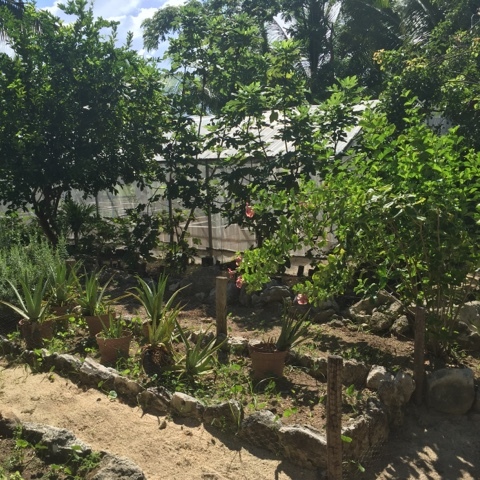 Markus and Heidi are walking through the lime and papaya trees here. And here's a look at the herb garden and greenhouse. They even make their lotions and products for the spa with these freshly grown ingredients. We had the best time on this vacation and made so many memories! There were a few comments from friends and fellow travelers that they were impressed to see Heidi went with us. I'm a huge believer in alone time for Markus and I, and this trip was very accommodating for everyone in the family, so why not? We were all so attached and happy headed home and made up for the days in routine that can fall into the shuffle. I might not have laid out by the pool uninterrupted much, but I enjoyed every minute exploring and seeing new things through Heidi - even when she put me to work! Hope you can contribute more quality posts to this page. Thank you!